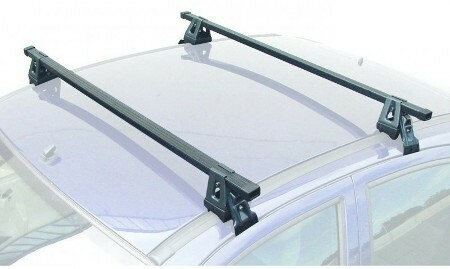 Mont Blanc Supra Roof Bars are simple, straightforward steel Roof Bar kits with versions to fit most modern cars. They come complete with all required mountings and most kits come fully assembled, making it easier to work out what you need to fit your vehicle, and simpler to install when you get it. 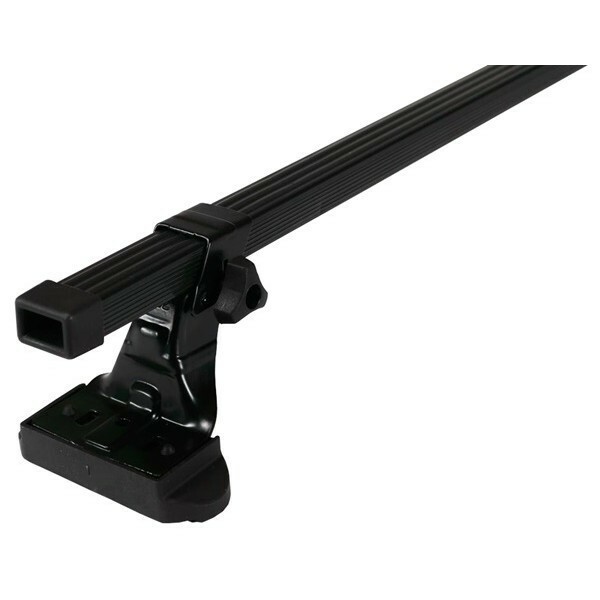 Supra Roof Bar kits include 2 x steel roof bars with a combined load capacity up to 75kg, making them ideal for carrying small boats or canoes, work equipment or other bulky gear, or to fit a bike rack or roof box to your car. There are kits available for most car makes and models which fit 3 and 5 door hatch, saloon and estate version cars and they come complete with fittings making them compatible with standard car roofs as well as cars with fix-points, integrated and open roof rails. These strong steel roof bars have a 22mm x 32mm rectangular cross section and are wrapped in an impact resistant black plastic coating to prevent damage to your luggage and keep the roof bars looking tidy. Not only are most kits fully assembled, but they come with all required fitting tools so they can be installed as soon as they arrive. To keep your car pristine all parts which come in contact with your car are protection coated to avoid scratches and damage to paintwork.